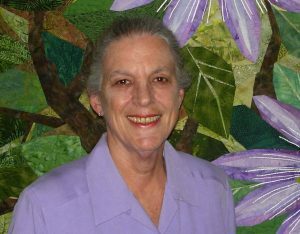 Artist, quilt maker, pattern designer, teacher and lecturer are just of few of the titles that describe Eileen. 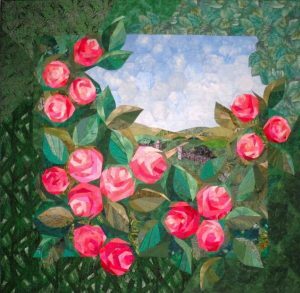 With a B.S and 5th year in art education she has gone from Art teacher, to artist, to quilt teacher and business entrepreneur. A desire to go beyond what she had learned as a beginning quilt maker and create one -of -a -kind pieces of art led to years of developing alternate methods that had previously not been available. She was among the first to present foundation piecing as a new way to create art quilts. Her quilt When Grandmother’s Lily Garden Blooms created in the late 1980’s was the first of its kind to win a blue ribbon at the prestigious American Quilter’s Society show and is in the permanent collection of the National Quilt Museum in Paducah, KY.
Eileen’s quilts have been exhibited at most major quilt events in the U.S. as well as Europe and Japan. 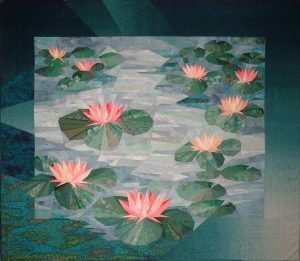 Two of her quilts were finalists for the 100 Best Quilts of the 20th Century sponsored by Quilts Inc and PRIMEDIA Publishing. 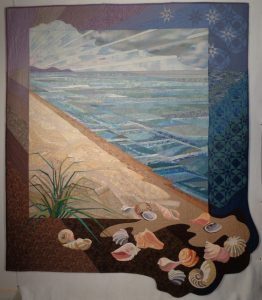 She has appeared on Simply Quilts with Alex Anderson and been a design contributor to many books on foundation piecing by Jane Hall, The Foundation Piecer, and Joen Wolfrom, among others. President Jimmy Carter was the recipient of a 75th birthday quilt commissioned by Habitat for Humanity, designed by Eileen, and completed by the quilters of Plains, GA. Teaching and lecturing has taken her throughout the country to present her methods to students and encourage them to move forward with their work.